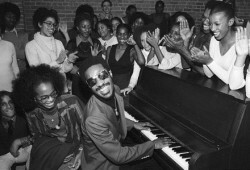 Stevie Wonder’s contract with Motown expired on his 21st birthday. Desiring more artistic freedom, Wonder delayed re-signing with Motown. During his time away from the label, Wonder self-recorded and produced two albums, which he then used as leverage to obtain a more advantageous contract. Though Motown initially balked, they ultimately relented, giving Wonder complete artistic control of his music. Wonder would also own the publishing rights to all his work. Wonder’s deal marked the beginning of his classic period (generally agreed as his recordings between 1971 and 1976). During this time, Wonder released 5 albums; this post covers the albums Wonder recorded in 1971 and used as bargaining chips – Music Of My Mind and Talking Book (both released in 1972). On the surface, Music of the Mind sounds more similar to Where I’m Coming From than Talking Book. However, there is one key difference between MOMY and WICF – namely the introduction of the synthesizer. Though he’d yet to obtain a strong mastery of the instrument, Wonder still manages to make an enjoyable album. When I first started the post, I wanted to highlight six (of the nine) songs on the album. After a second, third, and fourth listen – I’ve decided to focus on these three. 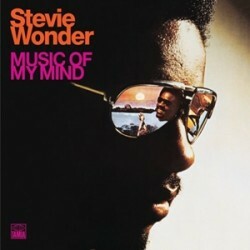 “Love Having You Around” – Stevie’s denied any drug use, but this song makes me question that. Here are the opening lyrics – “Every day I want to fly my kite. And every day I want to fly my kite. And every day I want to get on my camel and ride.” I don’t know if the lyrics are that insensible because he’s trying to depict the craziness of love, or if he just was dreaming of camels and kites. Regardless, despite the lyrics, it’s a nice song (and a great opening for the album). “Superwoman (Where Where You When I Needed You)” – I’ve blogged about this one before; hands down it is the most moving Stevie Wonder recording I’ve ever heard. I like it for three reasons. First off, (my belief) is that he’s singing about his true-life breakup with wife Syreeta Wright (they were only married for 18 months). Syreeta was trying to become a successful recording artist; her passions and Stevie’s paths just didn’t line up. Secondly, while this song reminds me of no one particular woman, it was the first Stevie Wonder song where I connected it’s meaning to my life. I was listening to it one day and realized that some relationships just weren’t meant to work out; maybe it’s why I became so nonchalant about breakups. Finally, Wonder’s synthesizer playing makes me feel like I’m flying. Check out the transition between the two songs and tell me you don’t feel like you’re soaring through the air. Genius. Pure Genius. “Seems So Long” – This is another one that I have sentimental attachment to. Again, no specific woman – I guess I always though of it of the “happy ending” from “Superwoman”. I’ll be the first to admit, it’s not Stevie’s greatest work… but it’s better than 95% of the crappy love songs out there today. 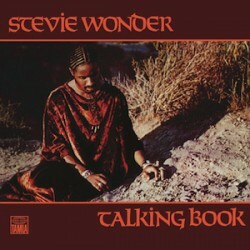 On Talking Book, Wonder seemed to have struck the right balance between lyricism and his avant-guard use of the synthesizer, clavinet, and fender that was missing on MOMY. You can tell this is a different album right from the jump – its cover depicts Stevie in an afghan, cornrows, and a Native American necklace. This album, despite funky tracks such as “Superstition” and “Big Brother”, is ultimately a love story. As such, the songs included reflect that theme. “You and I (We Can Conquer the World)” – This song was remade by O’Bryan in the late 80’s. Don’t be fooled; the original is 100 times better. The crazy synth sound of O’Bryan’s hack job doesn’t even come close the piano and synthesizers played by Wonder in the original. I wonder how many people have been married to this song. “Tuesday Heartbreak” – Another great mid-tempo ballad. Plus backing vocals by another Wonderlove member (Denise Williams). “You’ve Got It Bad Girl” – Damn, I love the beginning of this song. And again, all the crazy instruments that Wonder plays mesh perfectly. Similar to “Superwoman”, I hear it and I imagine myself flying. And again, the lyrics reflect my courtship of my wife (don’t front Mrs. Jenkins). By the way, Quincy Jones has a pretty sweet version of this song (with Jones on vocal and electric piano solo by George Duke). “Looking For Another Pure Love” – Hands down, the best ballad on the album (yes, better that “You and I” or “You Are The Sunshine Of My Life”). Like “Superwoman”, my hypothesis is that this song is about Stevie’s break with Syreeta Wright (since she shares co-writing credits with Wonder).